Prices for gold, silver, platinum, and palladium have been driven below the all-in costs of production for many of the major miners. This clearly isn’t sustainable in the medium to longer term. Metals prices must rise to enable producers to bring new supply to the market sufficient to meet demand. Either that, or demand for physical precious metals must fall off a cliff. But a collapse in demand doesn’t appear to be in the cards. As Mike Gleason reported in last Friday’s Market Wrap podcast, Gold Eagle coin sales at the U.S. Mint more than doubled in September, while gold coin orders from Australia’s Perth Mint spiked by 89%. Do exchange-traded products that track metals prices really hold all the metal they claim, free and clear in physical form? There’s reason to believe they may not. 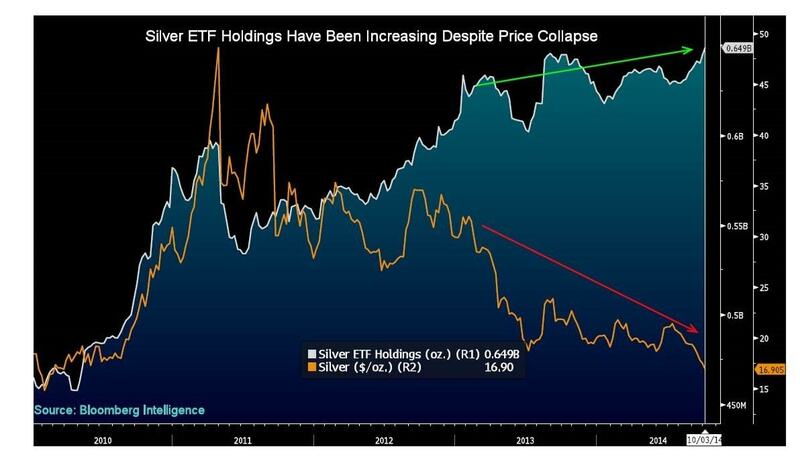 Nevertheless, ETF buying represents demand from investors who seek exposure at least to the price fundamentals of physical precious metals. To avoid counter-party risks from ETF issuers and brokerage firms and to be absolutely certain you own the real thing, take actual possession of your physical precious metals. Or have them stored securely in your actual name – never “pooled” with other investors’ assets. The upshot to these unexpectedly lower prices in the precious metals space is that more people will be able to accumulate more ounces. Buy low. Be patient. That’s how successful investors position themselves to be able to sell high down the road. Markets move in cycles. And just as surely as day follows night, when the current bear phase in the money metals finally runs its course, a bull market will begin anew.